Need a good night’s sleep? This collection of sleep apps will have you nodding off in no time. Sleep tight! 5 Best Sleep Apps For Super Sweet Dreams [LIST] – Goodnet. We do not associate insomnia with obstructive sleep apnea, but a recent study by Dr. Barry Krakow (Mayo Clinic Proceedings) showed the role of OSA in causing and perpetuating insomnia. Krakow investigated 1,210 insomnia patients who were unable to fall asleep or stay asleep using sleep aids. Subsequently, 942 patients underwent overnight sleep studies, and 91 percent of those who completed a sleep study actually suffered from previously undiagnosed obstructive sleep apnea, a critical factor aggravating their insomnia. If you suffer from insomnia, please talk to us or your doctor about a simple home sleep test to diagnose and treat obstructive sleep apnea. To read more about this article, please click New research links insomnia to sleep apnea. Here are eight foods rich in sleep-inducing ingredients that can naturally help you get more z’s. 1. Fish is rich in tryptophan, an amino acid that raises serotonin levels that are needed to make melatonin. Melatonin is a hormone that helps to control your sleep and wake cycles. 2. Dairy products like yogurt, milk and cheese are rich in melatonin-boosting calcium, and a number of studies are finding that being calcium-deficient may make it difficult to fall asleep. 3. Cherries, especially the tart varieties, are one of the few food sources of melatonin, the sleep hormone that regulates your internal clock. 4. Bananas, well-known for being rich in potassium, are also a good source of magnesium. Bananas also contain tryptophan, an amino acid that has been linked to sleep quality. 5. 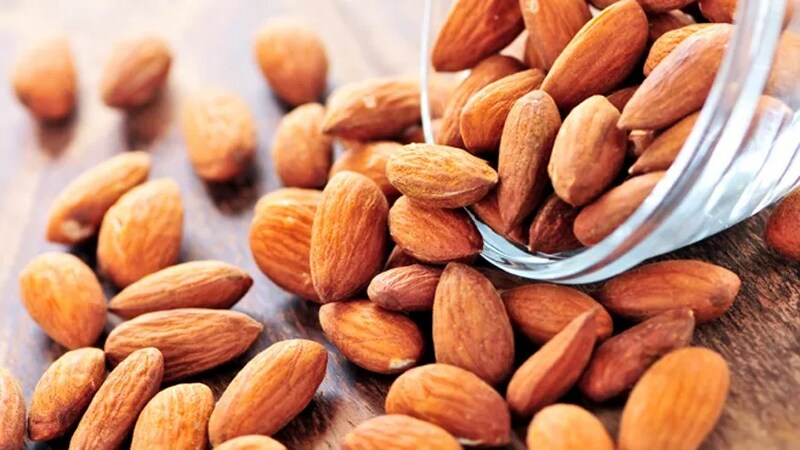 Nuts are rich in magnesium and also provide calcium – two minerals that help promote sleep. 6. Chickpeas (garbanzo beans), the main ingredient in hummus, are not only rich in tryptophan, but also in folate and vitamin B6. 7. Dark leafy green vegetables (such as spinach, Swiss chard, kale, turnip greens and collard greens) are rich in potassium, magnesium and calcium. These minerals play an important role in helping you sleep. 8. A smart, soothing beverage to drink before bedtime is an herbal tea such as chamomile or peppermint. To read more, click on the link 8 foods to help you sleep | Fox News. European researchers have identified an association between poor sleep patterns like insomnia and the size of the brain. The first scan was taken before patients completed a questionnaire pertaining to their sleep habits, while the second scan was done around three and half years later. The investigation indicated that 35% of those who experienced the criteria for poor sleep health had a more rapid decline in brain volume during the study than those who slept well. Researchers also found that the results of poor sleep patterns were even more significant in participants over the age of 60. Poor sleep pattern may shrink brain: Study. Does a bad night’s sleep make you likely to overeat? (Science Alert). Some studies, for instance, indicate that short sleep duration increases levels of the gut hormone, ghrelin, which makes us feel hungry and often leads to increased eating. Poor sleep might also increase the reward value of eating by making certain foods seem more attractive and increasing our motivation to obtain them. This idea is supported by recent research using functional magnetic resonance imaging (fMRI), which measures activity in specific regions of the brain by detecting changes in blood flow. The study found that, in people with limited sleep, the brain regions associated with reward “lit up” more in response to pictures of tasty food, suggesting that sleepy people found these foods more appealing. 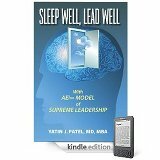 At the same time, lack of sleep might also impair our ability to make decisions and exert self-control over food intake. In another recent brain imaging study, 23 healthy people had a night of normal sleep and a night of total sleep deprivation followed by fMRI scans. After sleep deprivation, there was greater activity in the amygdala region of the brain (which is important for reward behaviour) in response to pictures of food. Sleep-deprived participants also reported a greater desire specifically for high-calorie foods compared to low-calorie foods. At the same time, the scans showed other regions of the brain believed to be important for “higher-level” brain function and self-control were less active after sleep deprivation. This means sleepy people may be less able to control what and how much they eat. Your Afternoon Coffee Habit Could Take A Toll On Sleep. 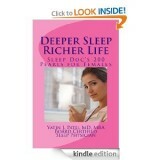 The study, published in the Journal of Clinical Sleep Medicine, included 12 healthy people with normal sleep patterns. For the four-day study, participants were instructed to maintain normal sleep schedules while taking three pills: one at six hours before bedtime, one at three hours before bedtime, and one right before bedtime. However, for three of the days, two of the pills were placebo pills and only one actually contained caffeine (400 milligrams’ worth, the equivalent of two to three cups of coffee). That way, researchers could see the effect taking the caffeine pill would have on sleep when taken six hours before bed, three hours before bed, and right before bed. On the fourth day, all three pills were placebo pills with no caffeine. Well, there are times even a sleep doc can’t fall asleep! This happens most commonly prior to a big trip or sometimes after a page from the hospital or a phone call from the sleep lab. I used to get frustrated and worried about the busy day next day, which in turn would make matters worse. Now, I have learned to relax. I do progressive muscle relaxation starting from my scalp muscles all the way down to my toe muscles; I contract them one by one, and feel them relaxing while I breathe slow and deep. This whole process if done leisurely would take 10-15 minutes. After I am done with this, I just lay there limp, completely atonic. Then I work on my racing mind. I practice complete detachment (Vairagya). I observe these thoughts as a third person. They arise and they subside. I do nothing with them. I give up all the worries, desires, expectations, and anger to Almighty, to the Higher Power, and I just lay there completely relaxed. This is called Savasana, which literally means “corpse posture.” When I do this, I get the physical, mental, and spiritual rejuvenation despite being awake. I may fall asleep; I may not fall asleep. I do not worry. I do not care. Sleep is a natural phenomenon. If it comes, it comes. If it doesn’t, it doesn’t. I don’t care. I trust the Lord. I have been through tougher times with little sleep in the past. I can do that again with the help the Lord. Well, I hope you don’t have difficulty falling asleep, but if you do, I urge you to try this. If you find it beneficial, share this post and spread the wealth!